As I mentioned earlier this week, I went to Pittsburgh on Monday to tape an interview that will air on Pennsylvania Cable Network’s regular book talk program. Today, I learned the air date: Sunday, April 29, 2012, at 9:00 pm. It will also be available by live streaming video on the PCN website at that time. Finally, I am advised that it will also be available as a podcast on the website for one week beginning on the Monday after the initial airing in case anyone wants to download it. For those of you in Pennsylvania, there is a list of cable stations carrying PCN that can be found here. I hope some of you will catch it! I wish I could say that I am surprised, but…. Several weeks ago, I challenged Joseph McKinney, the non-preservationist who has made the Brandy Station Foundation entirely irrelevant, to provide me with his version of the reasons why the membership applications of the founder of the BSF and a group of former board members who opposed his idiotic appeasement policy with respect to Lake Troilo. I promised that I would not edit or censor his submission in any fashion, and that I would publish whatever he wrote here so that he could tell the story in his own words. Not that I am the least bit surprised, but that offer was met with resounding silence. Candidly, it’s what I expected. Mr. McKinney lacks the guts to defend himself, preferring to let his wife do so for him. What he will do, instead, is to circulate e-mails that are filled with flagrant lies as his justification, but he will not do so publicly. Too bad. Mr. McKinney had the chance to prove me wrong. But instead, he has proved beyond a doubt that I have the full measure of the man: the man who made a proud organization with a great history an irrelevant entity with its primary interest being in leading battlefield tours and preserving the Graffiti House, and not the preservation of the battlefield. His “leadership” has rendered the Brandy Station Foundation an irrelevant afterthought. And that’s the saddest part of all of this. Today, I traveled to Pittsburgh and filmed an interview that will air on Pennsylvania Cable Network soon. 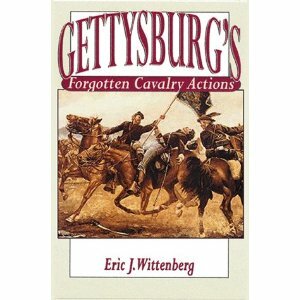 PCN has an excellent ongoing series called PA Books, which features books about or impacting Pennsylvania. The Battle of Gettysburg has rightfully gotten a great deal of attention from this series, and I was asked to come and discuss the new edition of Gettysburg’s Forgotten Cavalry Actions. 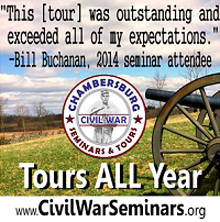 We started out discussing the book, but ended up having a wide-ranging discussion of all things Civil War cavalry. I don’t yet know when my episode will air, but as soon as I do, I will let you know here. For those of you who can access PCN but have never watched PA Books, you’ve missed more than 500 interesting episodes about a lot of interesting books. Do yourself a favor and check it out if you have access to PCN on your cable system. Of late, I’ve been particularly intrigued by the aborted Mine Run Campaign, which is notable both for what it was as well as for what it might have been. 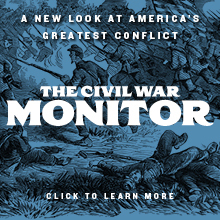 There wasn’t a lot of fighting, largely because Gouverneur K. Warren refused to attack Robert E. Lee, who was dug in and in a nearly impregnable position. When George Meade saw that, he validated Warren’s decision and pulled back. It makes for an interesting study in command, and the campaign lacks anything definitive in terms of a study. Many of the same problems that plagued Meade in the days immediately after the Battle of Gettysburg–namely, being stuck with inferior corps commanders such as William “Blinky” French as a result of the loss of three corps commanders at Gettysburg–and Old Blinky gets the lion’s share of the blame for the lack of any real fighting at Mine Run. Would you readers find such a book interesting, even though there’s not a lot of fighting? I’m trying to decide whether to try to do a book-length study, and I’m looking from input from you–the folks who would buy such a book–whether you would find it interesting enough to want to read it. Please don’t hold back, and please let me know your thoughts. 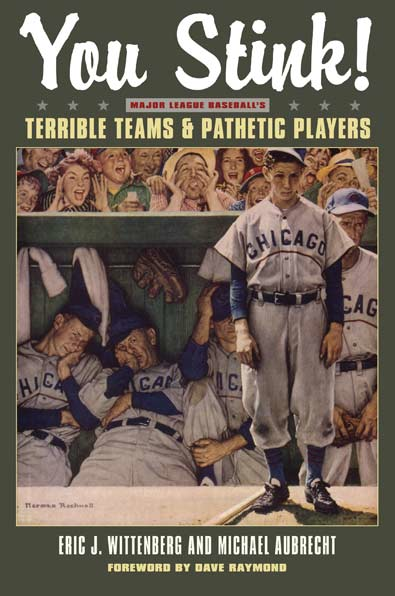 Here is the final cover art for You Stink: Major League Baseball’s Terrible Teams and Pathetic Players, the baseball book that I’ve written with Michael Aubrecht. The image on the cover is a classic Norman Rockwell painting titled “The Dugout”, which depicts the 1949 Chicago Cubs. The batboy’s expression says most of what needs to be said, but the looks on the faces of the players in the dugout truly depict what we were trying to accomplish with this book. I’m tickled that the Kent State University Press decided to take our recommendation that that image grace the cover of our book. The best news of all: the book went to the printer today! Thirty-eight years after I came up with the idea for this book, it’s finally coming to fruition. I couldn’t be more excited. Pre-orders for signed copies will now be accepted. The cost is $24.95 per copy, with $3.95 shipping and handling. It’s $1.00 per copy in additional shipping and handling for those who order multiple copies. Former BSF board member Craig Swain has a very interesting post on his blog today that compares and contrasts the malfeasance of the current board and officers of the Brandy Station Foundation with a REAL battlefield preservation organization, the Shepherdstown Battlefield Preservation Association. I commend it to you. It is important to note that Joseph McKinney, the so-called leader of the Brandy Station Foundation, has been caught in a lie. He told Craig Swain that he knew about the plans to build Lake Troilo before the first spade of dirt was turned, and has subsequently lied about it by denying his prior knowledge. I believe that Craig is absolutely correct in his theory that McKinney saw an opportunity to advance his own agenda by not objecting to the building of Lake Troilo in return for the dam to plug up Flat Run being designed so that it could be used as a bridge for battlefield tours. And for that, McKinney sold out the battlefield he has been charged to protect. What’s more is that he knew in advance, but failed to tell his board. We know he didn’t tell the board, because I have discussed this with the numerous board members who resigned over his egregious bungling of the Lake Troilo fiasco. 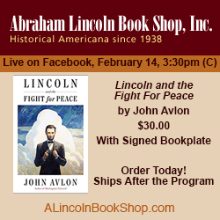 In short, he made a conscious decision not to tell his board that a major portion of the battlefield–where the heaviest fighting took place–was about to be destroyed for his own purposes. And that constitutes a breach of his fiduciary duty to the board, to the membership of the BSF, and most importantly, to the battlefield itself. We all know the truth here. We know what happened. However, I want to challenge Mr. McKinney to provide us with his own version of events. I will publish it here verbatim and without editing or censoring (although I do reserve the right to fix typographical errors), and we will allow him to tell us his version of the story. Whether it will be the truth is an open question, but we shall see. I would guess that he won’t take me up on this offer, but the opportunity for him to do so is there if he wishes to provide the world with his version of these events and justify his malfeasance. The new edition of GFCA is up for an award! 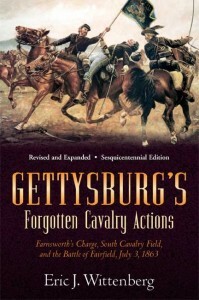 When the original edition of Gettysburg’s Forgotten Cavalry Actions was published in 1998, it was named the third winner of the Robert E. Lee Civil War Roundtable of Central New Jersey’s Bachelder-Coddington Literary Award as that year’s best new work interpreting the Battle of Gettysburg. The handsome glass award occupies a place of honor in my office, and I treasure that award every day. Today, I learned that the new edition, which was published by Savas-Beatie last fall, is also in the running for a major award. 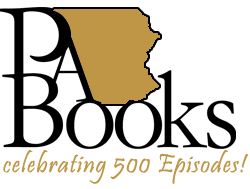 Along with my fellow Savas-Beatie authors and friends James A. Morgan, III and Scott Mingus, Sr., my book has been named a finalist for the Army Historical Foundation’s 2011 Distinguished Writing Award in the reprint category. I’m thrilled that the new edition has received this recognition, and even more so that I have done so with two friends whose first editions I published through the late, lamented Ironclad Publishing. It would, of course, bring things full circle if the new edition also won a major award, just as the first edition did. That would be some neat symmetry indeed. In any event, congratulations to Scott and Jim and to any other authors whose work has also achieved finalist status.